Lincoln, Nebraska, July 29, 2016 – The 18th annual Soybean Management Field Days Aug. 9-12 will focus on staying competitive in a global marketplace, increasing profits and meeting the world’s growing food and energy needs starting in Nebraska. The field days will offer producers research-based information to improve their soybean profitability. The field days are sponsored by the Nebraska Soybean Checkoff in partnership with Nebraska Extension in the University of Nebraska-Lincoln’s Institute of Agriculture and Natural Resources and are funded through soybean checkoff dollars. The efforts of the checkoff are directed by the United Soybean Board, promoting progress powered by U.S. farmers. The event consists of four stops across the state, each with replicated research, demonstration plots, lunch and time for questions. Producers can obtain ideas and insight about the challenges they face in producing a quality crop at a profitable price in today’s global economy. Presenters include university specialists, educators and industry consultants. 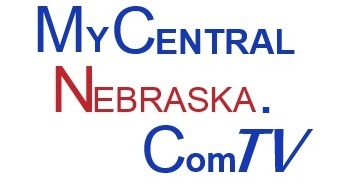 Topics include soybean irrigation; soil fertility, PPO herbicide and conventional soybean studies; grain marketing and farm management; soybean production management strategy comparison; sprayer management for successful weed control in soybeans; and Nebraska soybean checkoff investment. Updates on biodiesel use and markets will also be provided. Agronomists, plant disease and insect specialists will be available to address production-related questions. Participants can bring unknown crop problems for identification. Growers can also bring two pressure regulators from each span of a pivot for pressure testing during the field day. Growers will be provided a report on regulator performance. > Aug. 9, Robert Johnston Farm near Orchard, south of 859th Road and 514 Avenue. > Aug. 10, Shane Greving Farm near Chapman, 374 Ninth Road. > Aug. 11, Eberspacher Family Farms near Cordova, 4754 Saltillo Road. 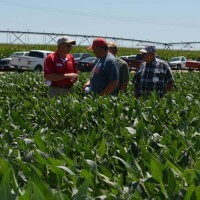 > Aug. 12, Goff Farms near Schuyler, 1046 County Road H.
For more information on the field days and driving directions, visit http://ardc.unl.edu/soydays or contact the Nebraska Soybean Checkoff at 1-800-852-BEAN or Nebraska Extension at 1-800-529-8030.